One advantage of my debut novel being published by an overseas imprint of the well known publishing house Macmillan, was that it afforded me entry to the Crime Writers' Association (the CWA). So when the CWA put out a call for submissions for their 2006 anthology I.D. 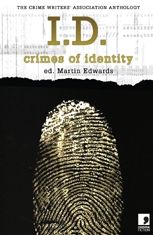 Crimes of Identity, I wasn't about to look a gift horse in the mouth. This sentiment was echoed by Sarah Hilary in The Short Review, where she said of my story, 'Paul Freeman’s The Document, (is) a tale told in 200 words but rich in history and incident'. The 2008 CWA anthology M.O. Crimes of Practice featured my 2000-word story The Nether World, a tale of a serial killer stalking the sewer system of a major city and preying on down-and-outs. The Nether World is written in the first person, from the point of view of a sanitary engineer who is the only survivor of the serial killer known as Sewer Man. Overcoming the trauma and near death experience of Sewer Man's vicious attack on him, he guides two police officers through the subterranean sewer system in search of the elusive killer. Described on Amazon as 'chilling', my story The Nether World formed part of my (unpublished) M.A. in Creative Writing dissertation titled Writing Saleable Fiction. My story A Space Romance , published by Pill hill Press started life as a 250-word piece of flash fiction. This I expanded into a 5,000-word epic. One of the few sci-fi stories I've ever written, I'm very happy it found a home in such an impressive anthology. When Coscom Entertainment put out the call for submissions for an anthology of zombie flash fiction (500 words, maximum), I had no experience at all of Z-Lit as the the genre's known. I ended up writing five submissions, the second of which - Hunger - was accepted. This was the beginning of a fruitful relationship with A. P. Fuchs's Coscom Entertainment. The following year Coscom put out calls for zombie poetry. I rewrote one of my failed flash fiction pieces as the 1,100-word narrative poem Payback Day for the anthology Vicious Verses and Reanimated Rhymes and A. P. Fuchs was impressed enough to ask me if I could write him a stand alone narrative poetry novella featuring zombies. This marked the birth of my 'zombie' Canterbury Tale titled Robin Hood and Friar Tuck: Zombie Killers. The wonderfully named Dr. Pus (not his real name, by the way) is the founder and proprietor of the equally wonderfully named Library of the Living Dead whose members are referred to as 'Librarians'. Originally dealing exclusively with Z-Lit, I came to the Library of the Living Dead after completing my 18,500-word Z-Lit novella for Coscom Entertainment. As a fully-fledged librarian I've submitted a number of short stories to horror anthologies compiled by Dr. Pus and his team editors. 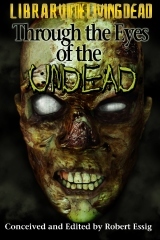 One of these, Through the Eyes of the Undead, features my festive Christmas story A Z-mas Tale. The Library of the Living Dead is one of the last bastions of literary democracy. It's where members can suggest and lobby for a particular type of sub-genre horror anthology. 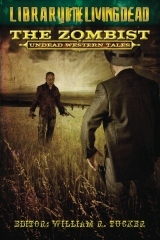 On the Z-lit front, there's been a zombie-astronaut anthology (Zombonauts - 'In space no one can hear you groan') and a zombie-cowboy anthology (The Zombist), which includes my story In them Thar Hills. The Library of the Living Dead has recently expanded and now has four imprints: The Library of the Living Dead Press, The Library of Horror Press, The library of Science Fiction and Fantasy Press and The Little Library of the Living Dead Press. In effect, Dr. Pus's Librarians have branched out into mainstream horror, sci-fi with a horror slant and young adults horror. Another story of mine which had been waiting for a good home was my D.I. 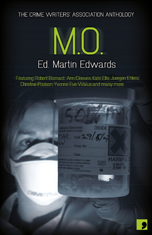 Williamson murder-mystery, Brain Food, which now appears in Pill Hill Press's A Whodunit Halloween. From it's origins as a 250-word piece of flash fiction, I entered the expanded version of the story in a short story competition where it got put down for being too gruesome. However, once Pill Hill Press announced they wanted submissions for their A Whodunit Halloween anthology, I added a Halloween dimension to the story and sent it off. The rest, as they say, is history. One of the earliest short stories I wrote as part of my MA in Creative Writing was The Last of the Pharaohs, which appears in Bridge House Publishing's In the Shadow of the Red Queen anthology. The story concerns a group of young, pseudo-intellectual Western 'artists' searching for Midaq Alley, an area of Medieval Cairo made famous by Naguib Mahfouz, the Egyptian winner of the 1988 Nobel Prize for Literature. Much of The Last of the Pharaohs is based on familiar places and events that happened to me in 1988-89 when I lived and worked in Cairo as an English language teacher. Living in Naguib Mahfouz's quarter of Cairo, I ocassionally saw the writer when he popped in for a cup of coffee in the cafe situated below the Shahrezard Hotel and adjacent to my workplace. 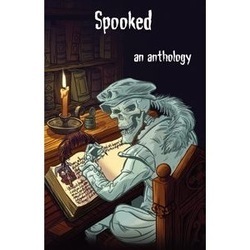 Another Bridge House Publishing anthology, Spooked, contains my story Web of Fear, a tale about a Sierra Leonian shaman who can transform himself into a deadly spider and wreak revenge on his enemies. As subplots to the horror aspect of the story, I also examine Western attitudes towards people of African descent as well as Western attitudes towards the eighteenth and nineteenth century slave trade. I set the scene of the story using my experience of living in post-aparteid southern Africa. This I combined with aspects of both the indigenous African psyche and the 'white', post-colonial Africans' mindset - even though the later action takes place in England. After finishing my narrative poem novella Robin Hood and Friar Tuck: Zombie Killers, I decided to relax and read some Gothic horror. So whilst on vacation in the UK I picked up a volume of M.R. James's short stories. Although some of the stories were a bit too 'verbose' for today's markets, the plotting, the pace and the scene setting were masterful. In an effort to mimic M.R. James's style, I wrote a series of four ghost stories, one of which was The Blood Ruby. Set in Egypt and Sudan (countries I worked in during the 1980s), The Blood Ruby chronicles how a nineteenth century British soldier came into possession of a gemstone with a lurid history. 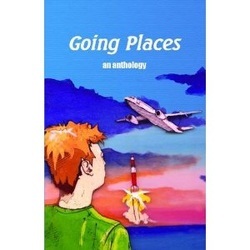 The Blood Ruby was published in 2010 in Bridge House Publishing's Going Places anthology.